In response to increasingly higher threat levels and the corresponding NERC-required security upgrading, the chain link industry has developed a wide range of cost-effective high security, anti-intrusion, perimeter security systems. These new systems can be designed to help solve the challenges facing energy companies working to protect the North American utility grid. 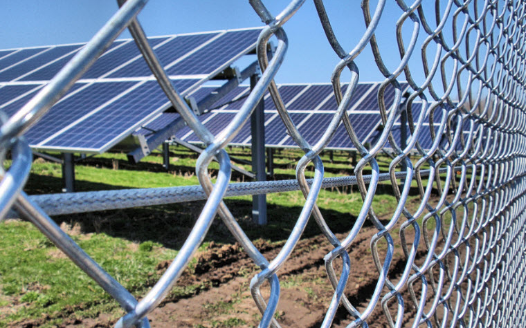 While chain link has always been the perimeter security system of choice for the energy industry, today’s chain link provides newly-developed choices in fabric sizes, coatings and configurations, accompanying framework and accessory products. These systems have been tested to the highest levels, and manufacturing facilities are strategically located throughout North America to provide the widest range of options for solving today’s – and tomorrow’s – perimeter security problems. 1 3/4” 6 gauge: Harder to climb, adds cutting delay time for prisons, higher security level for electrical generating, transmission and substations, chemical plants, refineries. Visually intimidating. CIP-014 calls for facilities to assess their unique needs and meet those needs with systems that are proven to perform at the highest levels. 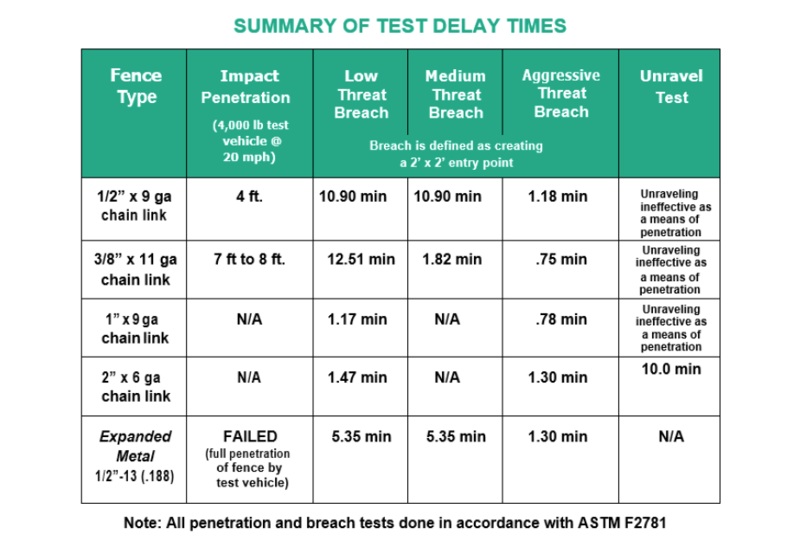 Chain link’s detect-deter-delay capabilities have been verified, using ASTM-approved materials and testing methods*. 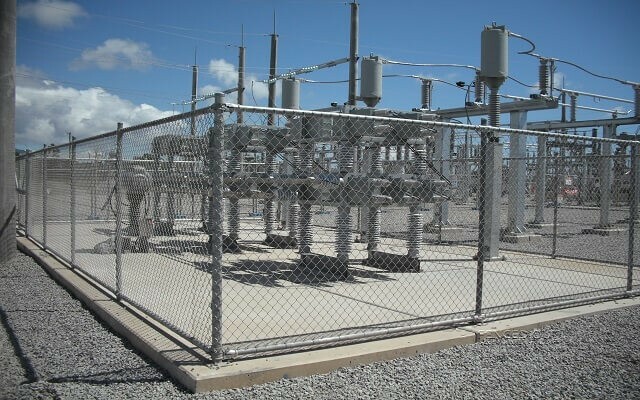 Tests performed at Southwest Research Institute’s Mechanical and Material Engineering Division demonstrate chain link’s superior proven tested performance in accordance with ASTM F2781, “Standard Practice for Testing Forced Entry, Ballistic, and Low Impact Resistance of Security Fence Systems”. *ASTM specification comparisons show the yield strength of the wire used to produce all chain link fabric is a minimum of 50% stronger than the steel sheet yield strength used to manufacture expanded metal. The ability to integrate physical, electronic and cyber security programs is one of the key considerations when choosing a perimeter security system. 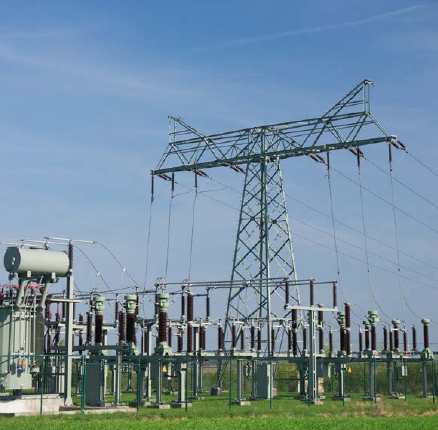 Chain link systems are highly adaptable to providing a base for multiple systems while maintaining their primary capabilities for visibility and strength. They also provide the versatility which allows for lower- cost installation that can follow a grade, resulting in greater ground security, improved appearance, and enhanced tunneling deterrence. All of these systems working together add up to increased delay times for intruders attempting to breach the perimeter and internal physical security systems. Chain link has an unbroken record of being the most cost-effective perimeter protection product capable of meeting ASTM/industry needs¹ at every level of the perimeter (and interior) physical security. Installation and upgrading costs are also greatly reduced compared to other perimeter security products. Perhaps most importantly, chain link’s higher tensile strength² and anti-corrosive properties³ and specialized coatings create huge savings in repair and replacement costs, funds that can be used for other high-priority security needs. The welded wire products listed in ASTM F3204 Standard Guide for Design and Construction of Welded Wire Fence Systems for Security Purposes have not been tested per ASTM F2781 Standard Practice for Testing Forced Entry, Ballistic, and Low Impact Resistance of Security Fence Systems. The minimum wire tensile strength of chain link, 75,000 psi, is 2.14 times stronger than the tensile strength of the wire used to produce ASTM F3204 welded wire panels. The chain link fabric zinc coating provides 20-33% greater lifetime protection to red rust when compared to the zinc coating applied to welded wire panels listed in ASTM F3204. There is also a 2 oz. zinc coating option available with chain link that provides 220% greater lifetime protection. CLFMI Product Manual (CLF-PM0610) This 32-page guidebook provides the user with the nationally-recognized standards of quality for chain link fence fabric and framework. References all applicable ASTM and federal standards. Guide to High-Security Chain Link Manufacturers and Suppliers CLFMI’s Product and Service Locator can connect you and your team to the manufacturers, suppliers, and services who are committed to CLFMI standards of quality, service, and safety. The CLFMI Technical Support Committee is staffed by a volunteer team of the most knowledgeable professionals in the global perimeter security field. They can help get your project back on track and make sure that you are aware of your best options for success.